From golf tournaments and road races to donations in lieu of wedding gifts and birthday presents, there’s no limit to how you can raise money to support Habitat Greater Boston. No event is too big or too small. And every dollar counts! For more information about having a fundraiser for Habitat, please contact Theresa Lakin, Director of External Relations, at (617) 423-2223 ext 24 or theresalakin@habitatboston.org. Here are some upcoming events organized by people like you. All proceeds benefit Habitat’s mission of breaking the cycle of poverty through home ownership. 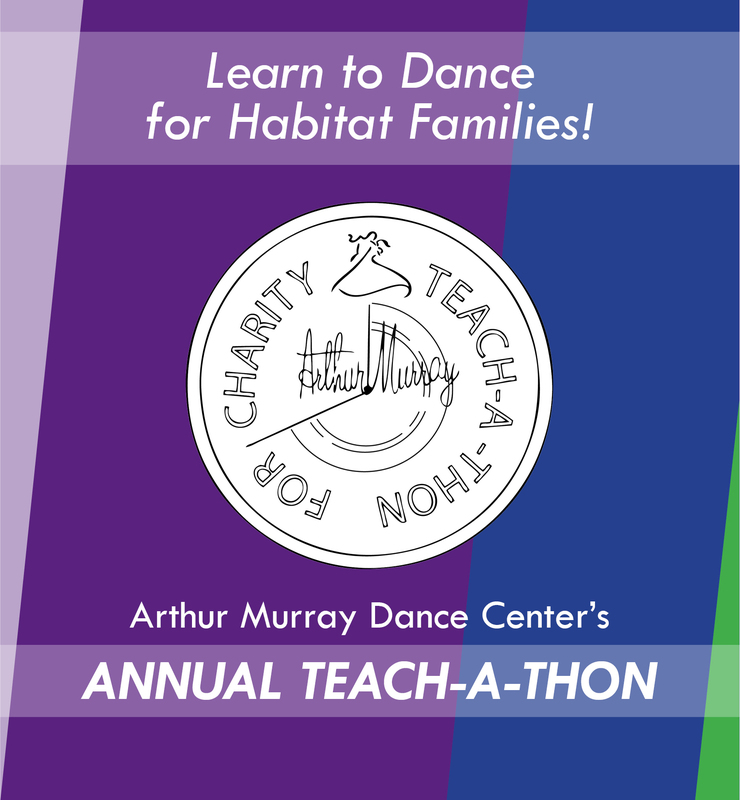 Habitat Boston thanks Arthur Murray Dance Centers of Boston and Weymouth for donating proceeds from the 10th Annual Teach-A-Thon to help support Habitat Greater Boston’s mission of building affordable housing in partnership with low income families. Classes were held from noon to midnight on January 25, 2019 at Arthur Murray studios in Boston, Burlington, Weymouth, and Manchester, NH. Join the fun! Learn to dance and support Habitat families at the same time. Stay tuned for details about the next annual Teach-A-Thon. Support Habitat Greater Boston families by joining our fundraising team for the annual Genesis Battlegreen Run! Register to run or walk, set up your own fundraiser page, or support your favorite runner/walker! 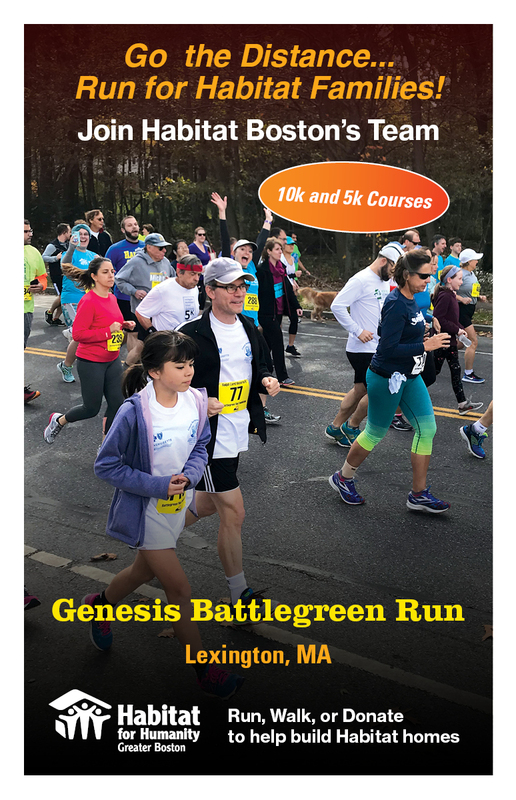 The Genesis Battlegreen Run is held each fall in Lexington, MA. Proceeds from this event support Habitat Greater Boston’s mission of building affordable housing in partnership with low-income families. Established in 1996, the Genesis Battlegreen Run is one of the most popular road race events in New England. Participants may sign up for either the 5K or 10K course, and all are invited to enjoy a post-race buffet, which includes a variety of food options generously donated by many local restaurants and food vendors. This event, which has become a Lexington tradition, offers a beautiful course that will challenge runners and walkers alike. Join in on the fun and help support Habitat Greater Boston. 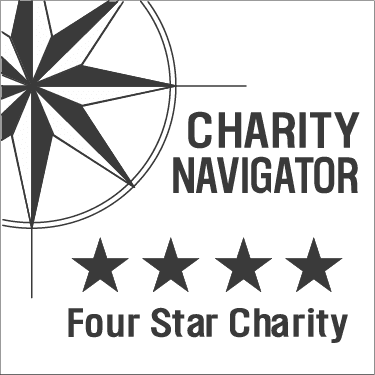 To find out more, visit the Battlegreen Run Foundation website.